Dr. Jacquie Smiles is delighted to announce the latest addition of the iTero Intra-Oral Digital Scanning Impression System from Cadent into her orthodontics practice in NYC. This new technology improves the level of dental care by providing our patients with a more comfortable and pleasant orthodontic experience from start to finish to help optimally enhance and treat your healthy smiles. If you’ve been considering Invisalign to straighten your teeth, there’s never been a better time! Not only has the Invisalign technology upgraded throughout the years, it is now more convenient to be fit for your clear aligners with iTero 3D digital scanning to ensure you are getting the proper alignment to perfectly fit your teeth delivering successful results. Dr. Jacquie Smiles is the very first office on the entire US East Coast to own the iTero Element Scanner. 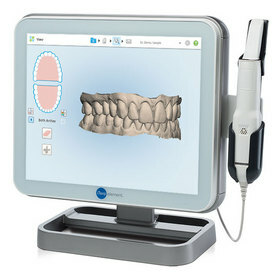 Digital Dental Impressions – No More Goop! iTero scanner procedure is very popular among our patients in our NYC office and only takes about 5 minutes! Call Dr. Jacquie Smile’s office today at 212-972-3522 to learn more about iTero scanner teeth impressions. You may also request additional information by filing out the contact form. Our office is conveniently located near 30 East 40th St @ Park Avenue, New York, NY 10016. The iTero scanner is designed to take digital scans of the patient’s teeth eliminating the process of messy and uncomfortable impressions. The scanner allows for enriched precision and a more accurate model of the teeth eliminating the possibility of rejected models/impressions. With state-of-the-art imaging technology, Invisalign trays are delivered with greater accuracy. Experience the iTero Scanner for a mess free, gag free Invisalign experience. Designed to replace the “dreaded goop”, unpleasant taste, drooling, and gagging associated with traditional impression taking, iTero enables Dr. Jacquie Smiles to offer our patients in NYC a technology driven impression procedure that is far superior to conventional methods. The patients’ entire impression is created 100% digitally with no mess or bad taste. A small hand held instrument, “the wand”, is used to capture the structure of the patient’s teeth and gums to create a digital model. Dr. Jacquie Smiles and her orthodontic specialists will scan your mouth with a radiation free laser. In several minutes we will have an accurate image of your teeth displayed onto the computer screen, which will help us evaluate and provide any needed recommendations. We than send the digital models electronically to the Align Company. 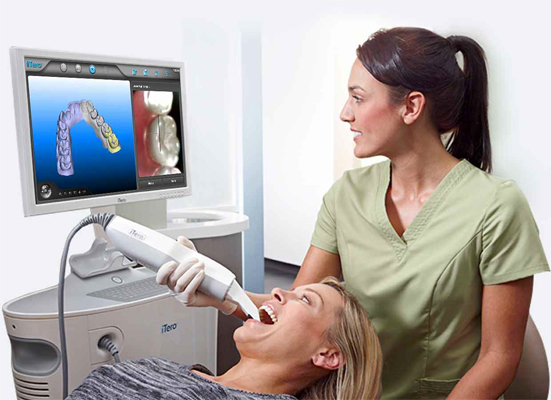 During your checkup, our hygienist will use the iTero Scanner to digitally photograph your entire mouth. iTero software collects the images and seamlessly pieces them together. Using the images, a digital map of your entire oral anatomy is created, including the teeth, gums, tongue, and surrounding soft tissues. Your personalized digital map is used to plan future procedures, ranging from crowns to bridges and Invisalign clear braces. iTero allows dentists to simulate the outcome of patient’s Invisalign treatments, providing a detailed visualization of how their teeth may look after treatment. In NYC, Dr. Jacquie Smiles has already seen a huge improvement in patient satisfaction rates when undergoing Invisalign with the iTero Digital Impression System. She is ecstatic to offer this service to her patients and feels confident they will see and feel the benefits of this new dentistry technology. How can I get started with iTero in NYC? 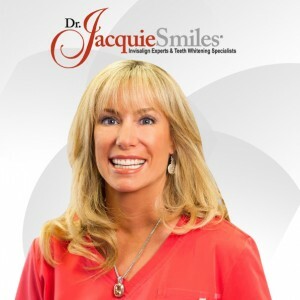 Dr. Jacquie Smiles is always looking for ways to progress and polish her patients’ experience within the office. You will find the iTero Scanner to be a much more comfortable experience, unlike any other dental impression you’ve ever had. The best part: the scan only takes 5 minutes! If you would like to learn more about iTero in NYC, please give us a call today at 212-972-3522 or click here to contact us today. Dr. Jacquie Smiles office is conveniently located near 30 East 40th Street Park Avenue, New York, NY 10016.